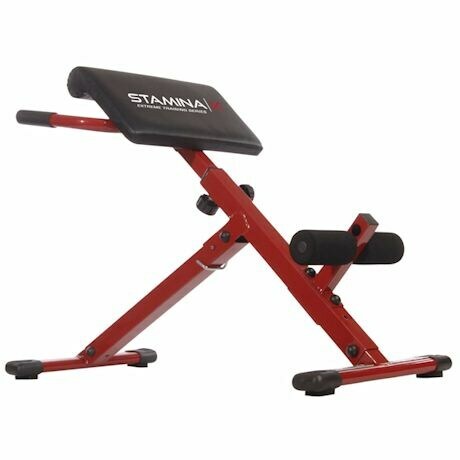 The Stamina X Hyper Bench lets you develop terrific core strength, ripped abs, and powerful back muscles using your own body weight. 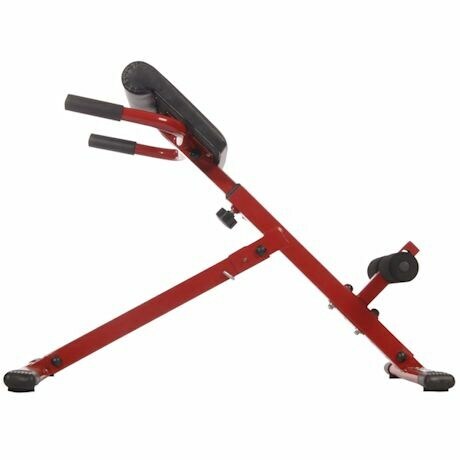 Perform hyperextensions, sit-ups, dips, and angled pushups on its various stations, and with the pull of a pin, quickly and easily adjust the angle of the bench to increase or decrease your workout intensity. Solid steel frame folds away for easy storage. Measures 39.5" long x 22.75" wide x 32" high when assembled. Weighs 25 lbs. Weight limit 250 lbs. This is an oversized item. Some assembly required. Click here for Owner's Manual. Right-click on the page to print. Extra shipping charges for this item: $+10.